There really is a holiday for everything and in case you did not know the month of March is National Noodle Month! Looking for a place to celebrate in Raleigh? May I suggest you go to Torii Noodle Bar at Kanki in the Crabtree Valley Mall. If you read my last feature on this restaurant, then you know it is one of my favorite places to dine especially with my daughter who loves noodles! This past weekend, we were hosted to try some of the noodle dishes on their menu and here are some highlights from our mother and daughter lunch date! Torii Noodle Bar has a menu that as soon as you open it you can see the mouthwatering noodle entree bowls available. Appetizers, entrees, beverages, and dessert are served at this intimate & modern noodle bar. SobeSavvy Tip: If you use code “SoBeSavvy” at Torii, you can receive a free appetizer with purchase of an entree! ffer is good through May 14, 2018 and Please limit one coupon per party. We started with some edamame and dumplings before ordering our entrees. Edamame is good for you and great for sharing for only $3.95 on the menu. If your little dumpling loves dumplings as much as mine does, order the Gyoza. It’s flavorful and fun to dip into their signature ponzu sauce. Edamame or Gyoza for an appetizer..which one would you choose? My little one is having fun mastering the art of chopsticks and Torii Noodle Bar has a nice variety of noodle entrees that gives her the practice she needs! Not a pro yet? No worries, they will adjust the chopticks for little hands. She ordered the Yakisoba stir fried noodles and opted to get the sauce on the side. I love that you can customize the noodles to you or your childs liking. Hers was lightly tossed in soy sauce instead which she enjoyed! At the wonderful suggestion of our server and being the seafoodie that I am, I was eager to havr the seafood scampi ramen. The portion of this is huge, which quite frankly I did not mind. It was chock full of fresh veggies, seafood and served in this amazing broth. SobeSavvy Tip: You must save room for dessert and try the Japanese Mochi Ice Cream. We had the strawberry and mango flavors, however you can try a sampler of all the Mochi flavors offered. It was so yummy! A sweet ending to our tasty lunch. Sure, we ate and slurped and drank some fun Japanese soda, but what made the meal most memorable was the service. Our server named Lily, who is also a mom to a daughter named Ava, was simply wonderful. She was patient, knowledegable and pleasant. My little foodie has a lot of questions and is quite curious about things like wanting to know what Torii means in Japanese? Here is what we found out: The entrance of the Jinja (a Shinto shrine) has a traditional Japanese gate called a Torii (鳥居), (literally ‘bird abode’). A Torii is built to show the beginning of a sacred place. It symbolically marks the transition from mundane to sacred. I think the name of the restaurant is a perfect fit because you will not get mundane service or food once you walk thru the doors at Torii Noodle Bar. The next time you are at Crabtree Valley Mall, treat yourself and your little one to oodles of fun while enjoying a bowl of noodles at Torii Noodle Bar! Having spent time in Europe I realized quickly that risotto is to Italy what rice is to Asia! An Italian staple for centuries, risotto done right is now available at Brio Tuscan Grille for all! Located in Crabtree Valley Mall, this restaurant is a great place to enjoy lunch, bar bites, dinner or weekend brunch. Per their press release, “It’s a Risotto Celebration” menu, available now until Sunday, March 25, 2018. This limited-time selection includes four chef-inspired risotto entrées, which all feature high-quality ingredients and are made from scratch. In addition, the menu includes three original cocktails, created to compliment BRIO’s new risotto dishes, and a decadent dessert. I am a big fan of this restaurant because although a chain, it never feels like cookie cutter cuisine and this limited time only special should inspire you to make plans to dine there soon! We went at lunchtime and entered their bright and airy dining space. Only fresh good food comes out of their open kitchen and it shows. But before I get into how great the food is, let me tell you about their amazing cocktails! There are three distinctive cocktails that are included on this special menu. My husband and I tried The Maple Bourbon Smash (Maker’s Mark, Monin Maple, lemon juice, rosemary simple syrup, dash of bitters, orange garnish) and Bulleit Rosa ( Bulleit Rye whiskey, lemon juice, simple syrup, 19 Crimes Red Blend, lemon twist garnish). They were the perfect start to what was to come. Although hard to choose among four great dishes, we opted for the Sea Scallop Risotto and the Shrimp Risotto & Broiled Lobster Tail because we are seafood lovers. WOW is the word that comes to mind when speaking of these dishes. Risotto is all about the cooking method. Not cooked well enough and it is hard. Overcooking risotto and you end up with nothing but mush. Brio got it exactly right! The scallops were in a red sauce and the shrimp & lobster in a light oil sauce. We actually exchanged plates halfway through because neither of us could decide which one was best! Only YOU can be the judge, but the shrimp & lobster was my fave. We ended lunch with the featured dessert, a molten chocolate cake with mascarpone cream, white chocolate raspberry gelato. It was as good as it looks too and wonderful to share with that special someone! SobeSavvy Tip: BRIO Tuscan Grille’s tempting Valentine’s Day menu features this decadent dessert, along with enticing cocktails, delicious starters and entrees. This offer is available during lunch/dinner, Friday, Feb. 9 – Sunday, Feb.18. Triangle Restaurant Week is wrapping up tonight but it’s not too late to make tonight THE night! Visit Mccormick & Schmick’s at Crabtree Valley Mall for lunch or dinner. They have a special dinner menu that is sure to be a hit for you and your date. My husband and I visited there this past Friday, (which I shared on Instagram @SobeSavvy) and ordered from their specially curated Triangle Restaurant Week Menu. For just $35 p/p you get a three course menu with a multitude of dish options to choose from. See menu>>>> here. We were seated in a secluded booth in their beautiful muted toned dining room. Our waiter Mike was very informative and let us know some of his personal favorites. We started with the Crispy Kung Pao Calamari and a cup of the Southern Seafood Gumbo. While the calamari was delicious, I must say THAT GUMBO was some of the best I have had outside of New Orleans! For main courses we chose the Truffle Beef Medallions and the Crab & Shrimp stuffed Atlantic Salmon. The truffle butter on that steak was so wonderful and the salmon entree was fresh with creamy mashed potatoes. We also tried one of their signature side dishes called “Baked Mac and Cheese Pie“. Yes, it was exactly as described. A huge slice of mac and cheese. Rich and decadent! Diners choosing the Triangle Restaurant Week menu also get to round out their meal with 2 choices of dessert. We ordered the cheesecake and the deep dish chocolate silk pie. We both loved the raspberry sauce on the cheesecake but there was no room left in our stomachs so we took the Chocolate pie home! 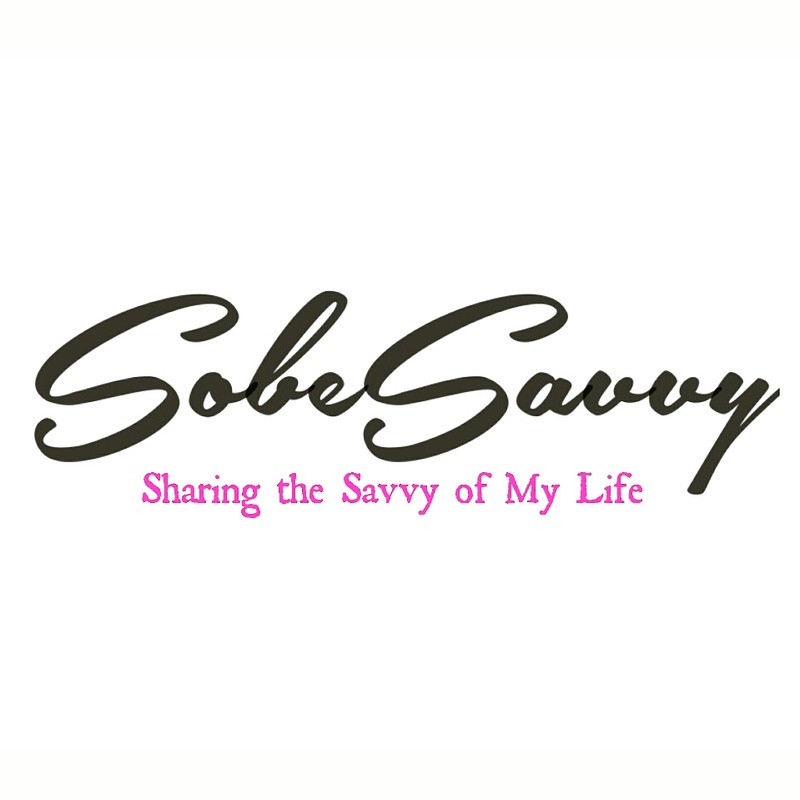 SobeSavvy Tip: I have a special offer to share with my followers! Use this coupon (you may show on your mobile device) for a FREE Appetizer with entree purchase and let your server know SobeSavvy.com sent ya! Get over there tonight for the last day of Triangle Restaurant Week. Great food for a great price in a great restaurant!